Acting President, Carl Greenidge, is refusing to say whether Guyana was invited to a meeting that the President of the United States, Donald Trump, is having with Regional Leaders. The Leader of the Free World has invited the leaders of the Bahamas, Dominican Republic, Haiti, Jamaica, and Saint Lucia to his Florida resort on Friday to discuss Chinese “predatory economic practices” and the crisis in Venezuela. Also to be discussed is security cooperation and potential opportunities for energy investment, the White House said. However, a few other countries in the region were notably not invited, including Trinidad and Tobago. 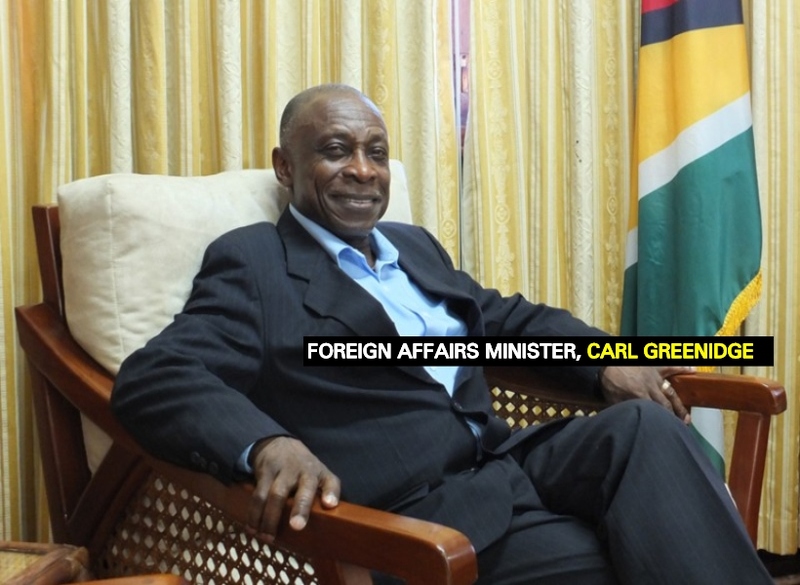 Minister of Foreign Affairs, Carl Greenidge, who is the acting President, prefers to refrain from saying if Guyana too was invited or not. Guyana Standard was able to make contact with the Minister earlier. During the conversation, the fact that the Venezuela crisis is slated to be discussed was pointed out. Greenidge was asked if he feels that it is important for Guyana to be a part of that meeting since Guyana is such a close neighbour to Venezuela and can be affected by what goes on there. A point to note would be that China and its growing influence in the Caribbean will be a focus of the meeting. Guyana’s relationship with China has been under watch. While the US has warned countries in the region about accepting Chinese investment, Guyana recently signed on to China’s Belt and Road Initiative. According to the statement issued today by the White House, “The President will discuss his vision for our diverse relationships in the Caribbean and the potential opportunities for energy investment. The President looks forward to working with countries in the region to strengthen our security cooperation and counter China’s predatory economic practices. The President will use this meeting as an opportunity to thank these countries for their support for peace and democracy in Venezuela. The United States remains a good friend to the Caribbean and seeks to build on a proud legacy as the region’s partner of choice”.